Home / Archive / BBC: What could be cut? BBC: What could be cut? As the BBC confirms cuts to services are inevitable, and a review gets underway to explore options for the BBC's services in the future, what could be cut? At the weekend, a BBC spokesperson told The Guardian that there are no plans to close CBBC or CBeebies, but their continuation would be subject to a review. Next year, CBBC is due to get extended broadcasting hours following the closure of BBC Three, although there is no additional budget for the extra hours – 2 hours per night. Audiences within CBBC’s age bracket are more likely to be streaming and downloading content online than BBC Three audiences. Yet the BBC is extending its hours and cutting BBC Three from traditional TV services. The BBC plans to launch a dedicated children’s portal called iPlay, which given the penetration of smartphone, tablet and computer usage among younger audiences looks set to cannibalise CBBC’s linear TV audience, questioning how effective extending CBBC until 9pm will be within just a few years. CBeebies sneaks under the radar here, and probably has a slightly longer lifespan on TV than CBBC. No cuts just yet. But a possibility later in the next Charter Period. 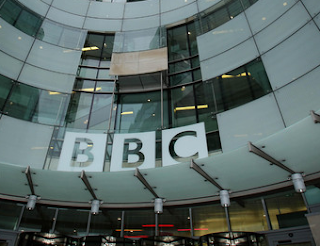 The BBC has said it has no plans to close BBC Four – but isn’t ruling anything in or out. It’s probably no surprise that when it came to last weekend’s leaks of the BBC Director General’s speech it was the Sunday Telegraph that got the news about the BBC’s plans to invest more in drama and that it could threaten BBC Four’s existence, given that BBC Four’s mostly small, but noisy upmarket audience is prime Sunday Telegraph territory and provided a good place to test the waters of audience reaction to such a proposal. BBC Four has more politically influential supporters than BBC Three, and removing BBC Four would be similar to trying to get rid of BBC Radio 3. With BBC Four no longer commissioning programmes from a wide range of genres as it used to following cutbacks, the channel could be focused even more on the arts and culture and rebranded “BBC Arts” and linked more closely with the BBC’s proposed arts output online. Difficult to axe BBC Four outright, certainly not during the Charter Renewal process, but scope for adjustments to the service in the future. Regular viewers of the BBC News Channel in recent months may have noticed that the News Channel feels a little unloved; it shows at times in its presentation and feels it’s caught BBC Three’s winding down syndrome. The BBC proposes to move from rolling news to online streaming news and a more personalised news service. The newspaper industry will probably want to stamp this proposal out before it takes root. But it does signal the end of the News Channel as we know it. Yet, the BBC has a highly successful international news channel, that pulls in a far younger demographic than its UK counterpart. Earlier this year, Colin Lawrence, Distribution Director at BBC Global News noted how international news audiences are younger than the BBC's domestic news audiences, with audiences in Asia skewing under 40 years of age. In contrast, the aging audience of the BBC News Channel in the UK is seen as a negative factor by some and a reason why BBC News has to change. BBC World News programming has already infiltrated the channel at various points through the day, and it seems only a matter of time before BBC World News replaces more of the News Channel's output. The proposed personalised radio service which combines on-demand and live content from across all of the BBC's radio services provides scope for some services to be cut or modified in the future. As more radio listening moves to connected devices and listeners can create their own schedule, there's no need to run traditional 24/7 linear services for the likes of BBC Radio 4 Extra or even 1Xtra, as listeners can mix and match what they want to listen from across the BBC, or try out recommended programmes, regardless of whether they're live or on-demand. Changes in the way niche services are delivered are bound to occur in the next Charter Period, moving away from a traditional 24/7 radio station. In 2011, the BBC announced it was going to cut most local radio AM services. Although there have been switch-off trials since then, it's gone very quiet. The next Charter period will bring to an end the era of AM broadcasting, as more of the "AM generation" pass away and more listeners take up digital radio services. Within the next two years, the UK looks set to become the last remaining area in NW Europe with a variety of stations on AM, with all of the UK's nearest neighbours having ditched / planning to ditch AM services. Radio enthusiasts will hate the notion, but AM has had its day.